Risk management is an inherently unstable process due to continuous changes and growing complexity. Portfolio holdings, models, market data, technology, reporting requirements, and risk personnel regularly change through the course of business. This creates an ongoing maintenance challenge to keep the risk processes up-to-date and performing optimally. Without proper attention, modeling errors and mistakes can compound, distorting optics to the point where risk output is no longer trusted by risk and portfolio managers, investors, or regulators. This type of Model Risk catches many firms by surprise because they are not aware how severe it can be until it is a very serious and costly problem. Previous PostPrevious How can we make risk reports run more efficiently using Web Services and unitized holdings without going through another painful implementation? 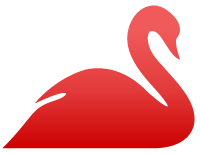 Red Swan Risk has perfected the tools, consultancy, and best practices that make our clients the gold standard of Model Risk Management.